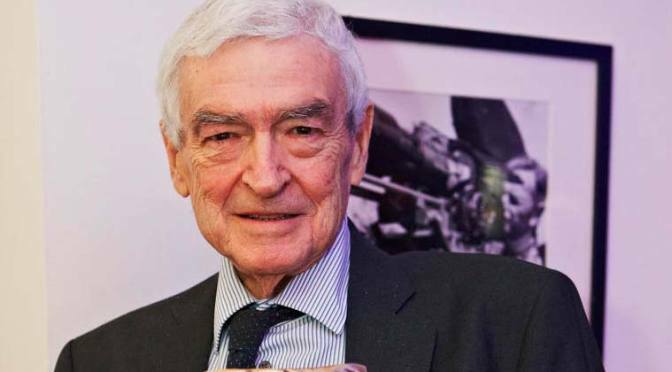 On Sunday 7 December, BAFTA paid tribute to five-time BAFTA nominee Terry Rawlings. A BAFTA Tribute: Terry Rawlings honoured Rawlings’ distinguished career in picture and sound editing across five decades, which has included work on films including Alien, Chariots of Fire and Blade Runner. Amongst the industry figures that attended the event and gave tribute to Rawlings were: editor and director Stuart Baird, director of photography John Mathieson, and Chair of BAFTA’s Film Committee and Director of the National Film and Television School, Nik Powell. Others who recorded tributes included: directors Ridley Scott, David Fincher and Hugh Hudson, and actress, singer and director Barbara Streisand. At the end of the tribute event, Terry Rawlings was presented with a BAFTA Special Award, in recognition of his outstanding contribution to picture and sound editing. The five-time BAFTA nominee received the award from BAFTA-nominated sound re-recording mixer Ray Merrin – with whom he collaborated on ten films including BAFTA winners Alien, Blade Runner and Chariots of Fire. Terry Rawlings Showreel – BAFTA version from Kieron Butler on Vimeo.